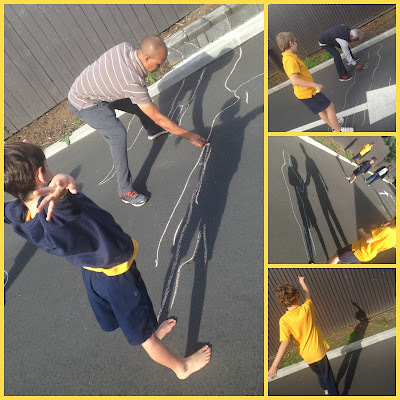 Tamaki Primary 2 are learning about shadows this term. We went outside on a sunny day and found our shadow. The sun went behind the clouds and our shadows were gone! The sun came back out again and we drew around our shadows. We made our shadows do funny things like jump, clap and dance.